MAJESTIC WATERFRONT PROPERTY! Lake Loudon Main Chanel frontage (directly faces Lash Brooke). 1.52 acre / gloriously landscaped lot with prominent extended knoll and easy water access. Sprawling, well maintained,' tastefully understated' home with timeless appeal and splendid year round lake views. Main Level Master Suite + 2nd Main level Bdrm./Office. Living Room with custom built-in cabinetry, adj. spacious Dining Room. Large Kitchen opens to Family Room with fireplace. 2 upstairs Bedrooms & Bonus Room w/ dual Stairwells, Rear Screened Porch w/ lake views and walk-out to in-ground gunite pool facing lake. 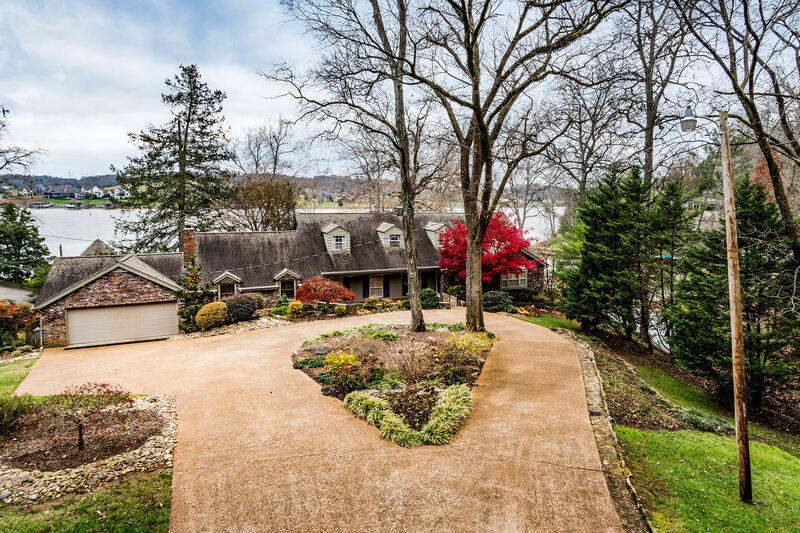 Exceptional stone-wrapped sea wall w/easy access Boat House. This property has been a ''gem'' t/out its lifetime, and a few strategic ''Buyer-Touches'' could make it ''Dazzling''!!! Dining Room: Spacious, Adjoins Living Rm.